Hi everyone. 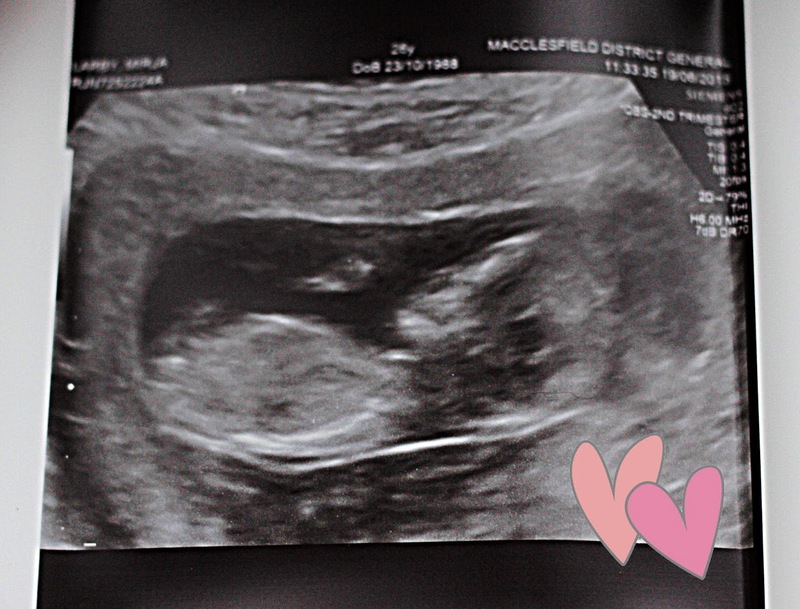 I had my 12 week scan today :) I was supposed to be 12+1 but they moved me forward to my original due date of December 26th, which makes me 12+6 according to the sonographers calculations. An app update is in order then! The pictures we got were blurry cause little Button started laying upside down and as soon as she started moving the scan around baby went into full circus mode, twisting and turning, pirouettes and somersaults, it was going insane in there! No wonder I've been able to feel it on/off if it acts like that, haha. I've never seen anything like it. My nausea has definitely let up though, but I'm still having problems eating, so naturally I'm still losing weight. I have headaches and the insane tiredness prevails. This week Button should be the size of a lime and I think he/she was 6.5 cm. I can't believe that last time we had a scan it was like a little dot and this time it looks like a baby! I guess my 13 week update will come quicker this week as I'm already 13 weeks tomorrow. Bliss!